It’s no coincidence that my trip to Japan this year overlapped Comic Market. It’s been a solid decade since the last time I went, and that was apparently enough time for me to forget how absolutely miserable it is to deal with Tokyo summer temperatures AND half a million people in a confined space. I’m never going to Tokyo in August again if I can help it. 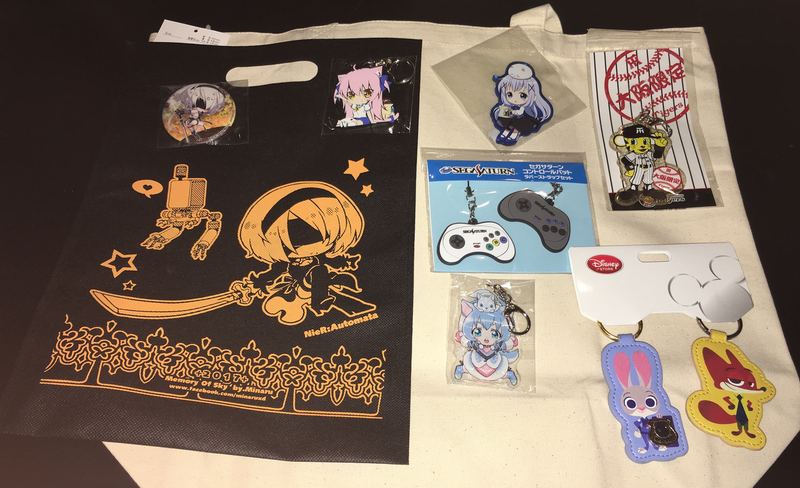 Still, one goes to Comiket because you can buy stuff there that you can’t get anywhere else, even if the vast majority of it is stuff that I wouldn’t want to explain to a customs agent on my return to North America. 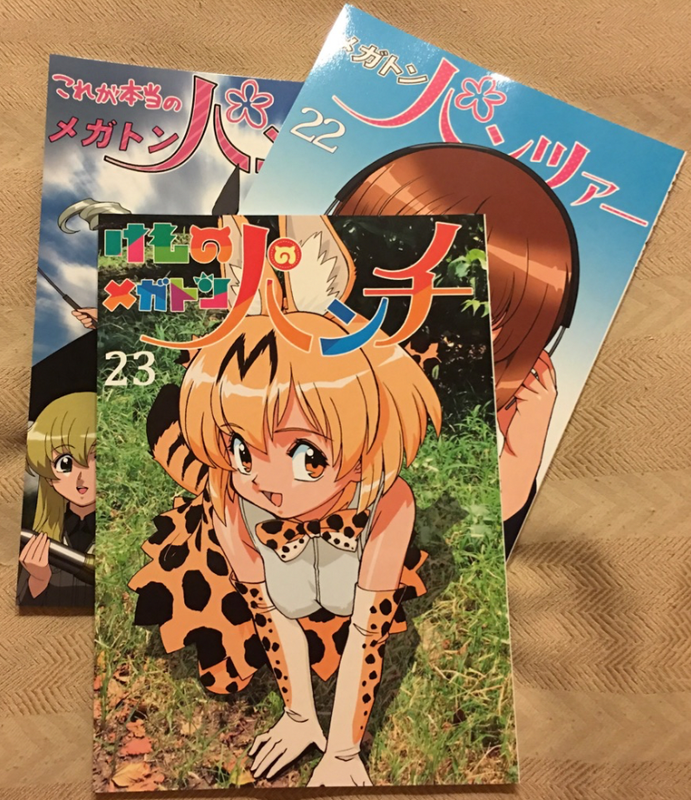 On the plus side, fastidiously avoiding the tables selling naughty manga did mean that I could browse a lot faster and spend a lot less money. 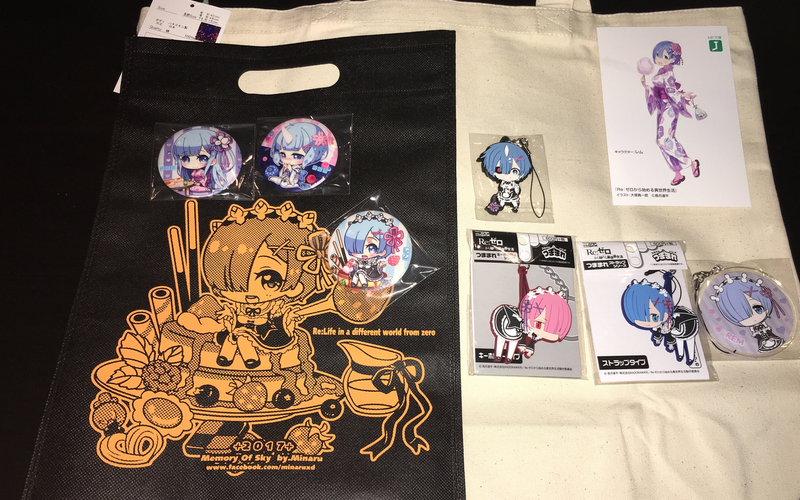 …and a boatload of other small Rem keychains and badges. I bought a lot of small character goods this trip, and no figures – I recently realized that I had way too many figures and they were taking over my office space to an alarming degree. Ram got a pity keychain. Emilia didn’t even get that. I really liked Kobayashi-san chi no Maidragon. …and Konosuba, which is what a Legion of Substitute Heroes anime would be like. …and Eromanga-Sensei, which regularly nearly killed me with laughter AND a dance-inducing ending theme. 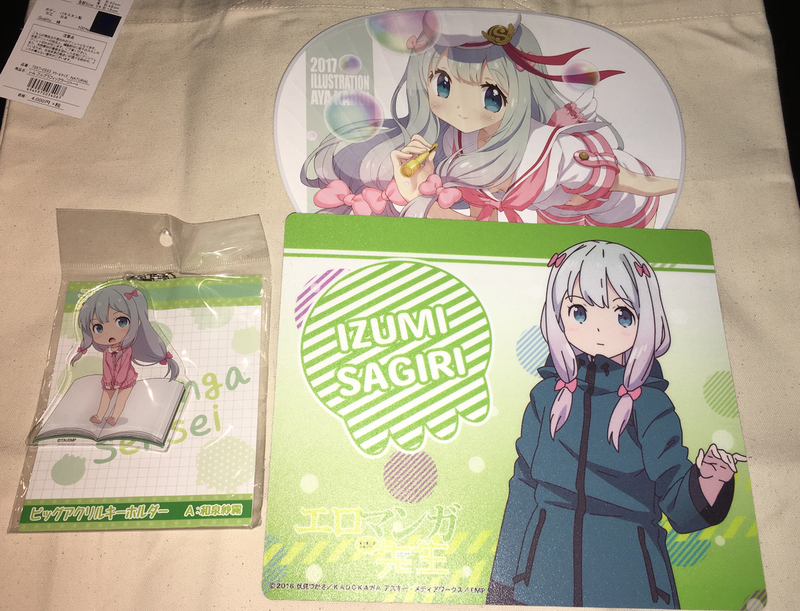 One keychain, one mouse pad, one uchiwa. 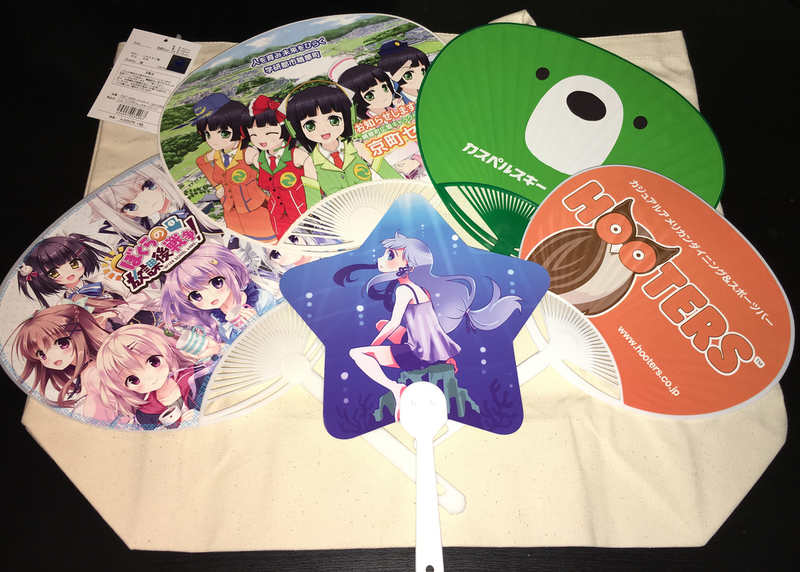 Speaking of uchiwa, I had a bunch handed to me. 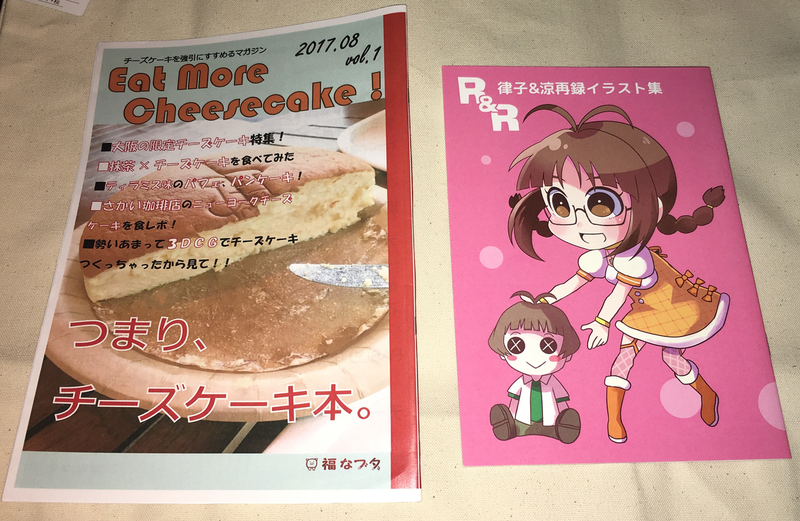 They’re both cute souvenirs and actually practical, so I brought them home. The green one is an ad for “Kaspersky Security”, which is an antivirus company. 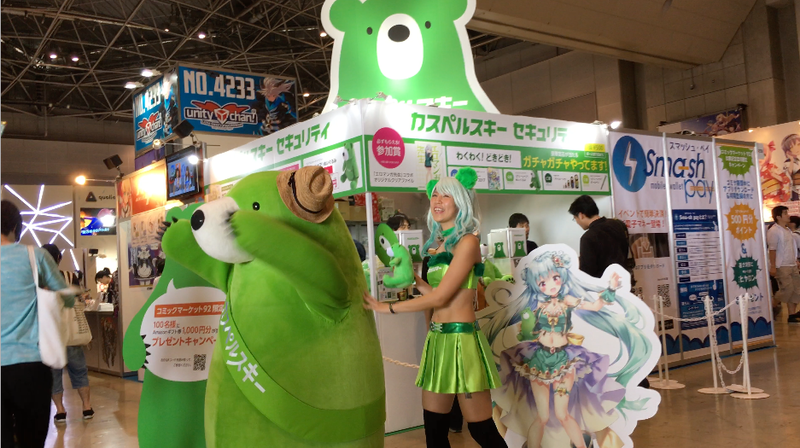 They had a booth at Comiket promoting their security software, complete with a couple of Kaspersky-tans (live and 2D) to drag in the otaku crowd. They’re Russian, I think? So I guess that’s why they have a bear mascot. 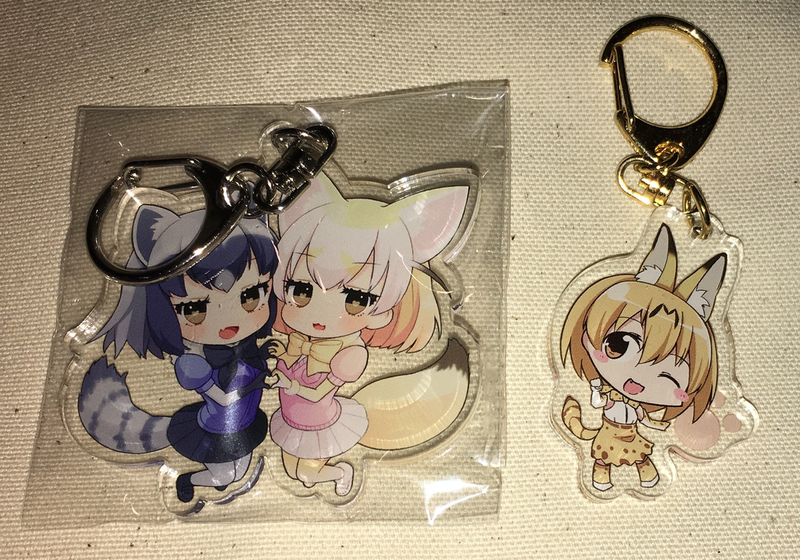 I legitimately thought that I had bought a TON of Kemono Friends merch, but I think I kept talking myself out of stuff by saying that I would find something cuter later. 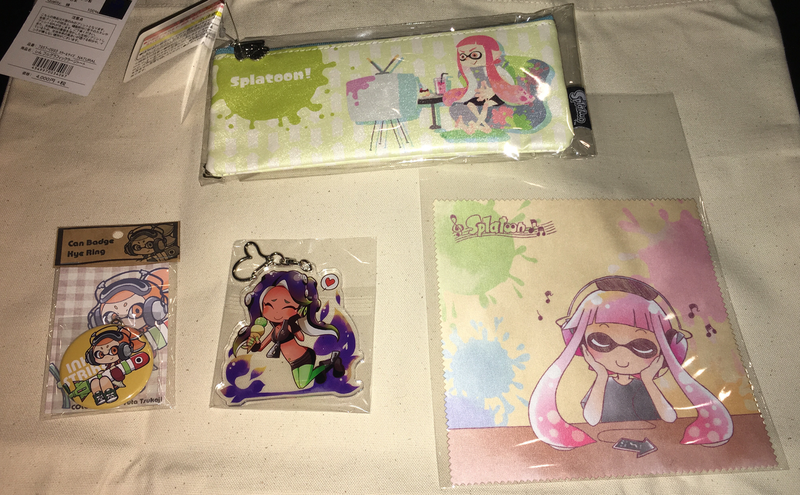 Splatoon stuff, with the little cloth being for cleaning glasses. 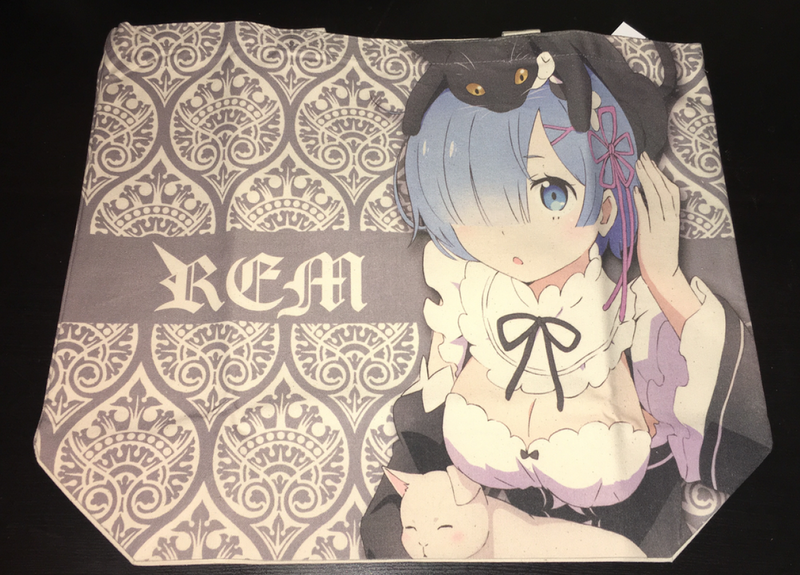 Sadly there was no Marie merch to be found. The original Splatoon idols seem to have already slipped off the radar in favor of the new pair. 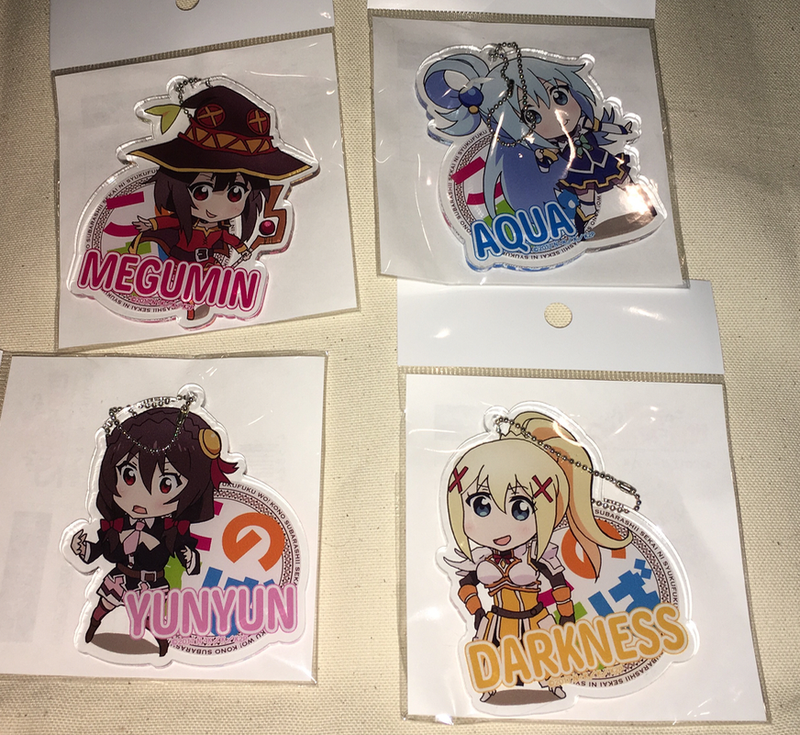 Some other random keychains. I went to see a baseball game in Osaka while I was there, and the little tiger guy in the upper right is one of the team’s three mascots. Despite Comiket being a doujinshi convention, I hardly bought any doujinshi. 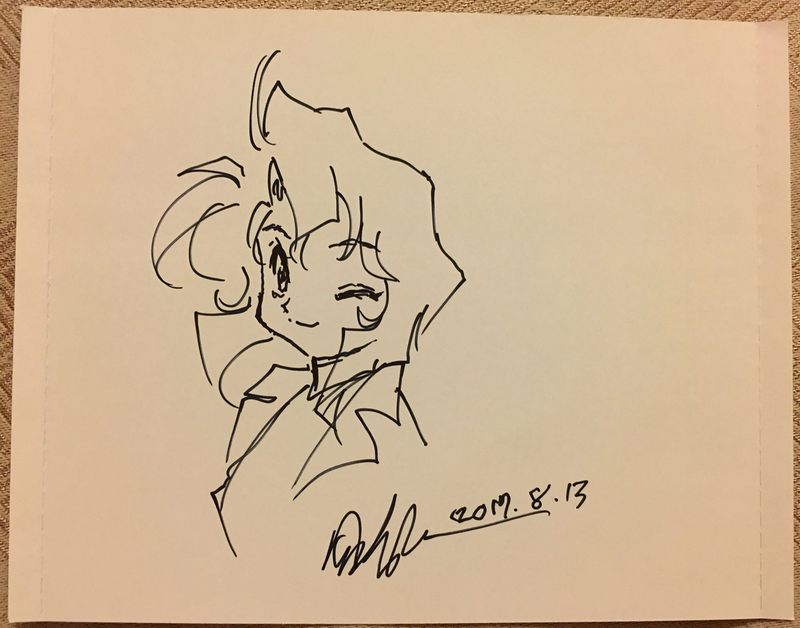 The three from the same series were published by Kenichi Sonoda’s circle, and I am not ashamed to admit that I stalked the table periodically throughout the day waiting for the man himself to show up. 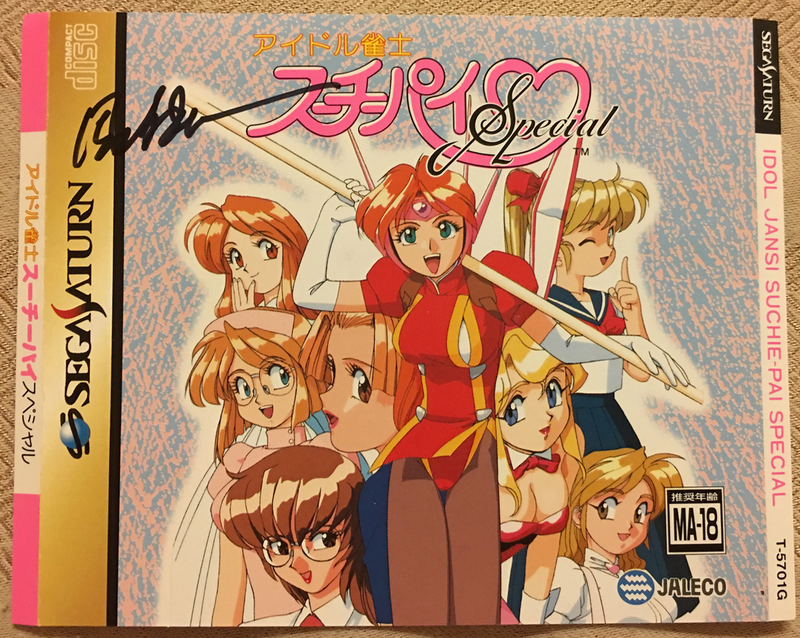 When he did show, he was kind enough to sign my Idol Janshi Suchie Pai Special cover AND draw a sketch on the reverse for me. My introduction to anime featured a LOT of Sonoda character designs, and this game is responsible for my mahjong addiction, so these are pretty significant to me. That’s most of the interesting stuff. I bought some other random things, like a doorbell that plays the Family Mart chime and a bluetooth trackball, and I got sent to Baby, The Stars Shine Bright to buy purses, but I think I’ll cut the shopping report off here. This entry was posted in anime, comiket, Japan. Bookmark the permalink.